Back-filling is a well-known and loved polymer clay technique. 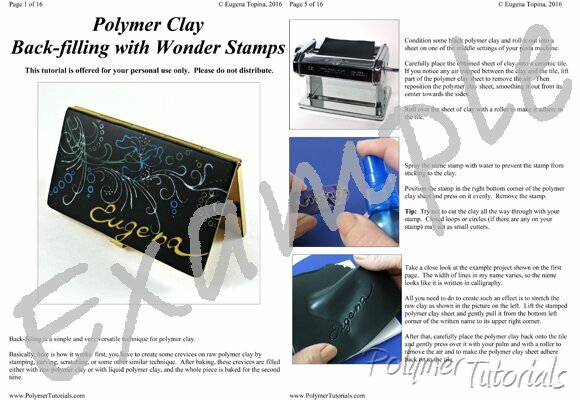 Using Wonder Stamps for this technique will let you take it to the new heights. how to give your finished project a beautiful smooth finish. A comprehensive list of tools and materials for this project and the best places to buy them are also provided, as always. The first two pictures on this page show the project described in this tutorial, and the last two demonstrate possible variations of this technique. Place a mouse over the small pictures to see them enlarged.